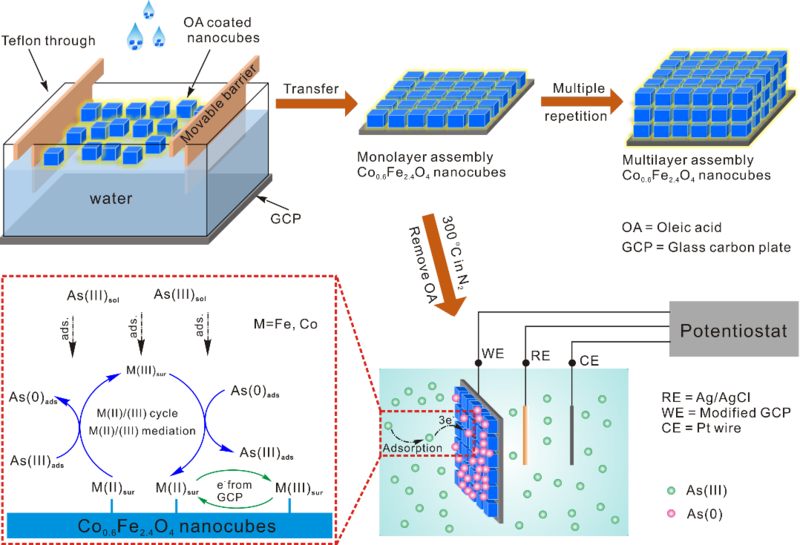 In a paper published in Chemical Communications, the research group jointly led by Prof. HUANG Xingjiu from Institute of Intelligent Machines, Hefei Institutes of Physical Science prepared Mn-MoS2 Nanosheets for ultrasensitive electrochemical detection of heavy metal ions. The team found for the first time that chemical interactions between Pb(II) and actived S atoms in Mn-MoS2 facilitate the electron transfer and in situ catalytic redox reactions. Using nanomaterials to modify the electrochemical electrode is an effective method to improve the electrochemical-sensing performance. There is no doubt that adsorption capability plays a significant role in electrochemical detection. However, previous work mostly focused on enhancing the electrochemical-sensing performance via increasing the adsorption capability while ignoring the interaction mechanism between active sites and analyte. The mechanism remains unclear—particularly the difference in effect on electron transfer and catalysis between physical and chemical interactions, which limits the development of electrochemical sensing. In this work, the team reported an ultrahigh Pb(II) electrochemical sensing via Mn-mediated MoS2 nanosheets. The chemical interaction between Pb(II) and S atoms was caused by defect- and phase-engineering—these were significant factors. 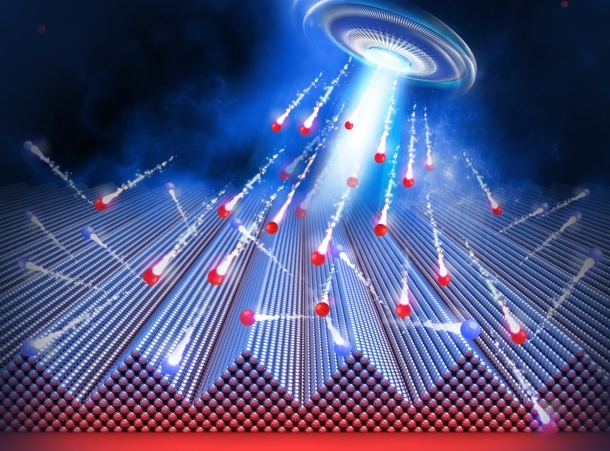 The EXAFS results demonstrated that single Mn atoms were successfully doped into the MoS2 nanosheets via substitution of Mo sites. A new phase, 1T-MoS2, emerged after Mn-mediating in pure 2H-MoS2. 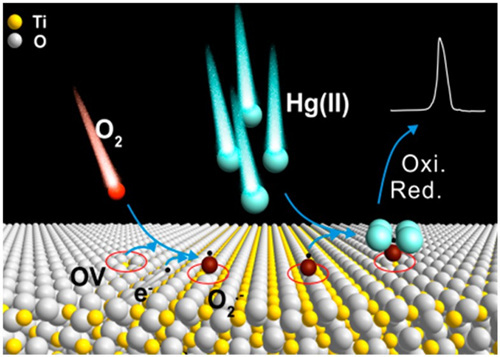 The heteroatom Mn could destabilize the lattice and introduce S vacancy defects, accompanied by an S plane that might glide due to the electron-donating nature of Mn. The rich S vacancy and distinct 1T-phase-embedding give Mn-MoS2 good electronic properties. Due to the stimulated activity of S atoms, chemical interactions (Pb-S bonding) were found between Pb(II) and Mn-MoS2. This suggested that the stronger chemical effects facilitate the electron transfer and significantly promote in situ reduction and re-oxidation relative to the weak physical adsorption interactions. These findings stimulate new opportunities for enhancing the electrochemical sensitivity and for investigating the atomic-level electrochemical behavior by defect- and phase-engineering.